Ok, let’s be honest guys, it doesn’t have to be Fall for us to want it to smell like Fall. It can be 110 degree outside and the smell of cinnamon-apple-coziness is always a great thing. I am not going to complain if I walk into a friend’s house and it smells like a rainy Autumn day. In fact I’m probably going to want to snuggle up with a blanket and some hot tea and forget the fact that summer even came. And that’s why I decided I’d compile an awesome list of awesome scents that scream falling leaves and hot chocolate. So feel free to check out these awesome scent ideas and then head to the bottom to find the tutorial and let me know what you think! Alright so it’s not really called that, in fact it doesn’t really have a name. It’s just has the tutorials title called, “How to Make Your Home Smell Like Fall,” so I decided to name it myself. This is definitely something to try! I really like this one since I’ve never thought of using the slow cooker for creating fall scents before. It’s definitely a great idea and you don’t have to keep your eye on it throughout the day which is great. You can get a slow cooker here ! With just lemons, oranges, and cloves, you can easily make your home smell like Autumn. Pretty simple right? This lovely concoction doesn’t just smell great, it looks pretty too. Comprised of six different ingredients, it’s still simple to do. Alright so this one is more meant for Christmas time, but to be honest, it can definitely pass for an Autumn scent. Also another slow cooker recipe, cinnamon and orange has to be one of my favorites when it comes to scents. Definitely a winner here. I think this infographic speaks for itself. 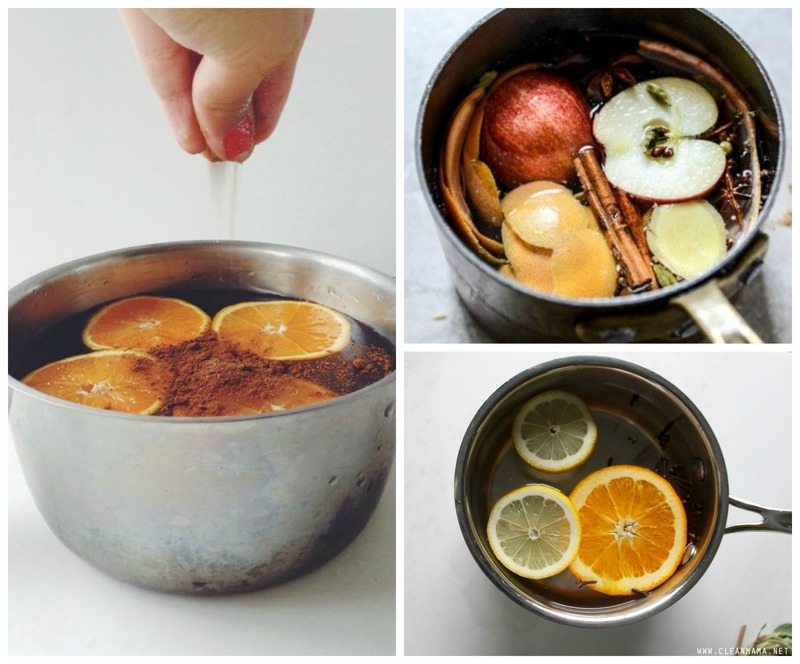 With orange rinds, apple peels, cinnamon sticks, and whole cloves, you can recreate this awesome scent and have it waft through your house like a cup of hot apple cider. There’s no shame in making it smell like Autumn in the middle of Spring or Summer. Seriously, it’s one of the best scents out there. Nothing will get you in the mood for pumpkin spice and cozy sweaters like how these recipes will. So turn on the stove or crock pot and start simmering those ingredients! Now if you have an favorite Fall scents yourself, let me know in the comments down below! I’d love to hear about them! I think that every one of these sounds goods me. I also believe that all of them could be done in the crock pot. Great idea, as then like you said, you don’t have to check that pan on the stove top.!! I love this idea for selling your home or even just to enjoy the fall aroma anytime.